Neoliberalism killed youth politics. Are the kids now taking their revenge? Neoliberalism's success has been to destroy the idea that politics can change anything, this is particularly true of younger generations who can remember no alternative. In 1968, as protests by students and workers rocked major cities around the globe, an increasingly fearful business class watched on with mounting frustration. It was time for the post-war consensus to go – and they pounced. Without knowing it, these youthful upheavals gave birth to their antithesis: the anti-politics of neoliberalism. Nearly 50 years later and the world is still straining under the pressures of the ideology summoned to combat the growing demands of the people. In economic terms, neoliberalism musters unequal and unstable economies, wage repression and union destruction and fiscal austerity (now thankfully being questioned in the UK at least). Long held by many economists to be economically untenable, the squeezing of the public purse is now becoming increasingly politically untenable too. But there is another, more sinister and yet more subtle impact of neoliberalism: the erosion of the political. The hallmarks of the ideology, defined by its distrust of collective decision making, are an atomised society, reduced potential for collective action, deregulation, privatisation and the roping off of most areas of public life to ‘expert rule’. Neoliberalism’s success has been to destroy the idea that politics can change anything, this is particularly true of younger generations who can remember no alternative. This regressive economic system – which in essence presents itself as an alternative to politics – has led to the decline in union membership and strike action, declining voter turnout and less party membership across the western world (although most of these are showing small signs of resurgence in Britain in recent years). Nowhere is this truer than with the first generation to grow up under a neoliberal consensus: just 43% of 18-24 year olds turned out to vote in 2015. Could youth now be taking its revenge on neoliberalism? Last month Corbyn’s Labour party stood on a platform of raising wages, of defending union rights and of scrapping fees and therefore challenging the marketisation of higher education and the debt burden of my generation. Corbyn tapped into youth culture: staging huge rallies across the country, addressing Glastonbury and talking about Grime. Labour openly challenged the powerful and talked of kindness, togetherness and community, language anathema to a neoliberal mindset. 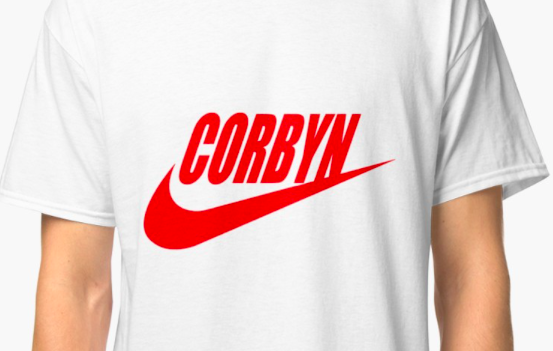 The challenging of the mainstream orthodoxy and the fresher style of campaigning, itself a challenge to the business of neoliberal politics, offered young people something different to what we had previously known in politics. Meaningful change feels possible once again. There’ll be a lot of work in the coming months to figure out what caused such a surge in youth turnout this election (early estimates are placing it in the high 50 percentages). Brexit may have played a role. However, it seems unlikely to be a coincidence that the first political project of my generation to challenge neoliberalism occurred alongside an increased youth turnout by the largest margin since records began. We most certainly are. Down with the status quo Neo-Liberal politics. The point is that ‘the Kids’ denied access to progressive ideas also include the fanaticised youth who have sought glory with Daesh. Take away hope of anything but a lifetime of debt, and the result is psychopathic behaviour.